How many times have we heard it said to practice what you preach? In the book of James I am constantly reminded of this. Be a doer not just a hearer. Today I choose to be an example for others. I choose to live for Christ in a godly way. I choose to make sure I am being filled with the spirit and not just thrilled by it. 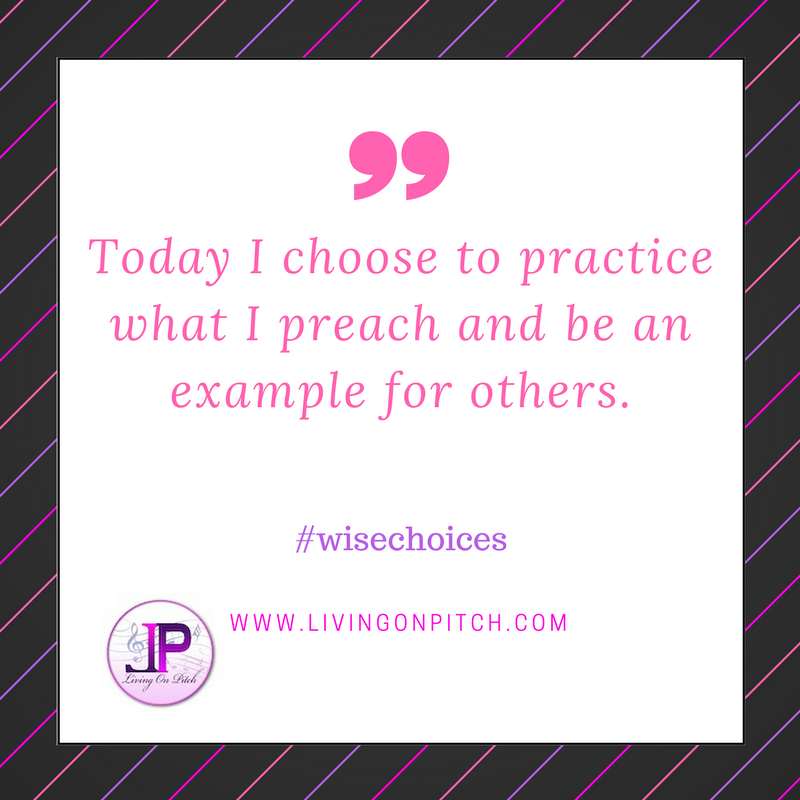 In what ways do you choose to practice what you preach?